In today’s mobile-centric society just about everyone has a smartphone or tablet with them at all times. It makes sense then, that when you choose to play casino games online, it is via you mobile and not your desktop computer. In Canada, mobile casinos have become increasingly popular with more and more people logging in at home, in the office and on the go. 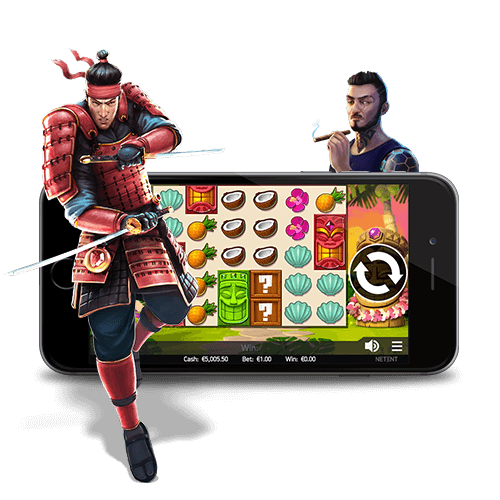 At Lucky Nugget Casino, we understand just how important it is to have a wide range of mobile games that you can access whenever the mood strikes. In order to bring the best mobile experience possible, we have teamed up with Microgaming, one of the leading casino game and software designers in the industry. 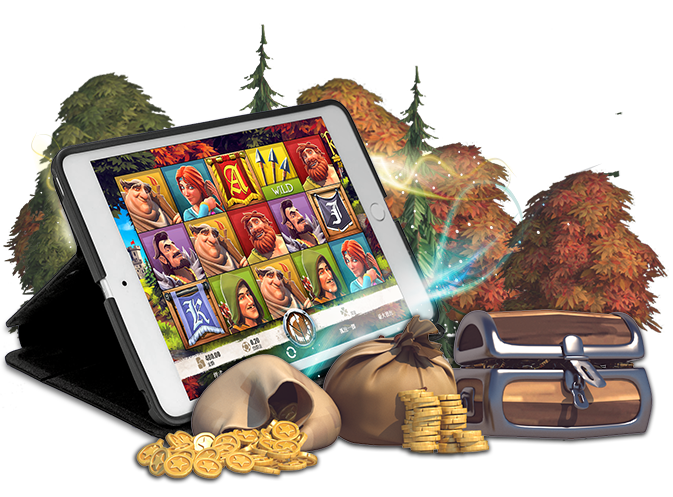 Microgaming is a well-known brand and one responsible for some of the biggest slot games including Tomb Raider, Avalon and Game of Thrones. At Lucky Nugget, you can experience the best of what Microgaming has to offer with slots, table games, video poker, instant win games and more. The best part is that you can access it all from your smartphone or tablet with a simple swipe of the screen! 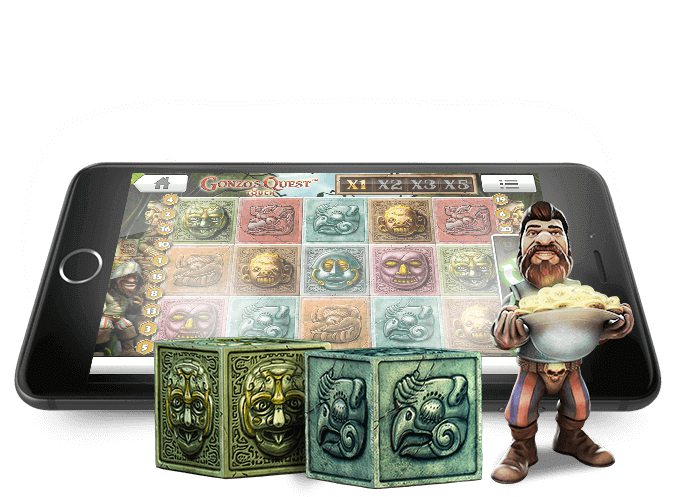 Lucky Nugget offers two easy methods of access for mobile casino gaming. If you want to play on your tablet or larger screen phones, you can simply use your mobile web-browser to access our mobile site. Here you can log in and browse through the complete list of games. When you have found a game you want to play, all you need to do is tap on the game and it will automatically load and play through your mobile web browser. Another simple way to play the latest slots and casino games in Canada on your mobile is to download the Lucky Nugget mobile casino app. The app is compatible with all leading Android and iOS devices and can be downloaded directly from the Lucky Nugget mobile site. The app gives you instant access to the most popular games as well as casino banking and account settings. When it comes to gaming options, Lucky Nugget Casino has everything players in Canada need in one place. Whether you choose to play via your browser or through the app, you have a world of choice at your fingertips. If you are a fan of slots, then you have come to the right place. With 100’s of top class slots you will never need to go anywhere else to get your gaming fix. At Lucky Nugget mobile casino you can find a wide range of slot games in all shapes and sizes, including the latest Microgaming video slots, classic slots, Megaspin slots and progressive jackpot slots games. If you are more of a table and card game person, then we’ve got what you need too. In our table game section, you can find classic games like Blackjack, Casino Poker, Baccarat, Roulette, Sic Bo, and Craps, as well as Red Dog, Casino War and more. With games like Blackjack and Roulette at our Canadian mobile casino you can choose from many different versions of Blackjack. In fact, with 15 different varieties of exciting Blackjack games available, there is a Blackjack game to suit almost everyone's playing style. Additionally, all of our games use independently audited and externally verified random number generators, giving you 100% fair and accurate results. When it comes to electronic mobile casino games, we offer over 40 different varieties of Video Poker including classic Jacks or Better Poker, Aces and Faces Poker, Double Double Poker and Joker Poker. Video poker is the ideal way to get into Poker without having to bet big, and you can choose the style of game you want to play. If you want to try your hand at something a little different, you may want to check out our range of mobile casino scratch cards games as well as lottery games like Bingo and Keno. You can experience all this at Lucky Nugget Casino on your mobile 24 hours a day, 7 days a week!